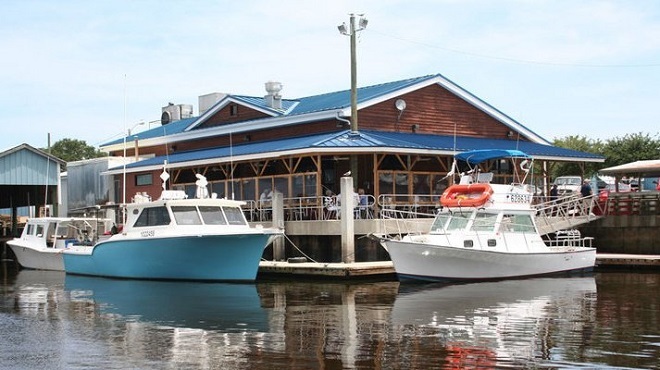 We took our Marine Science Summer Camp, which is in its eighth year, to visit Mayport and Safe Harbor Seafood. Safe Harbor processes thousands of pounds of shrimp at its plant near the mouth of the St. Johns River. It is a great educational experience to let the campers see first-hand how shrimp are processed. We also take them on our research vessel to trawl and see how fish and shrimp are caught. Most of them have no idea of how their seafood gets to their dinner table or fish sandwich. Today, the majority of seafood consumed in the United States is imported and farm raised. It is especially important for the students to see what is available locally. 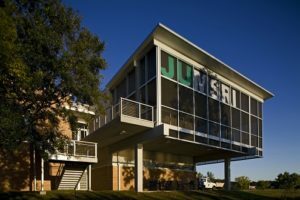 We were able to bring some fresh shrimp that had been unloaded that morning at Mayport back to our little kitchen at the Marine Science Research Institute at Jacksonville University. With the help of a little Old Bay Seasoning, we boiled and then chilled the shrimp. We took this opportunity to explain a little bit about the anatomy and life history of the shrimp. It may have been cruel to make the students stand there in front of a pile of boiled shrimp while we discussed shrimp biology. Nevertheless, it was a great teachable moment. Shrimp, you see, are remarkable, especially if you remember your high school biology with the phylum, class, order, family, genus and species method of classifying living organisms. There is a lot of debate among scientists about exactly how to classify many species, so I am using the more traditional terminology. Shrimp belong to the phylum Arthropoda, which means jointed legs, and to the Class Crustacea due to their shell exterior. Their order is Decapoda, meaning 10 legs, and Family Penaeidae, which are most of the edible shrimp. There are three species of shrimp in Florida: white, brown and pink. They differ in life cycle and habitat with white and brown being more common locally. They live about two years and are an extremely important component of the marine food chain. Their abundance and short life cycle make them a commercially viable food source. The young shrimp live in the St. Johns River estuarine environment where they grow and mature. Once they reach adult size, usually during the summer, local shrimpers say they put on their “traveling shoes” and move out into the ocean. Their swimmerets’ turn red as the shrimp mature. The swimmerets are the appendages along their abdomen. The shrimp migrate offshore to mate and reproduce. Hurricanes with their tremendous rainfalls can lead to a drop in salinity, thus triggering the movement. Once the eggs hatch, they begin the long trip back into the estuary. They do this by swimming at the surface during rising tides and then hugging the bottom during the falling tides. Thus, this up and down motion slowly moves them into their nursery. 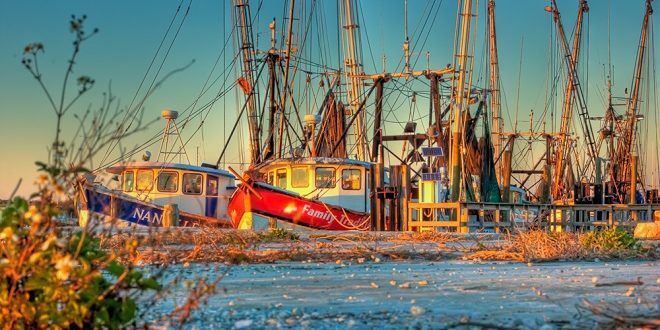 It is a tribute to the resiliency of our environment that even after years of use and abuse, the St. Johns River, and nearby estuaries, still produce enough shrimp to harvest. I wonder what it might be like if we hadn’t dredged and filled so much salt marsh over the last 150 years. Are there plans to redevelop Mayport? I heard something about JU wanting to base the OCEARCH ship there. The City of Jacksonville has recently agreed to take ownership of some river front property from JAXPORT that was originally bought to serve as a cruise terminal. One concept being explored is to develop the area to berth shrimp boats, charter fishing boats and possibly the shark research vessel OCEARCH. There is tremendous interest and support for a multi-use facility that could be used by shrimpers, commercial and recreational anglers, general public and the educational community. Such a facility could bring additional public-private activities to Mayport. 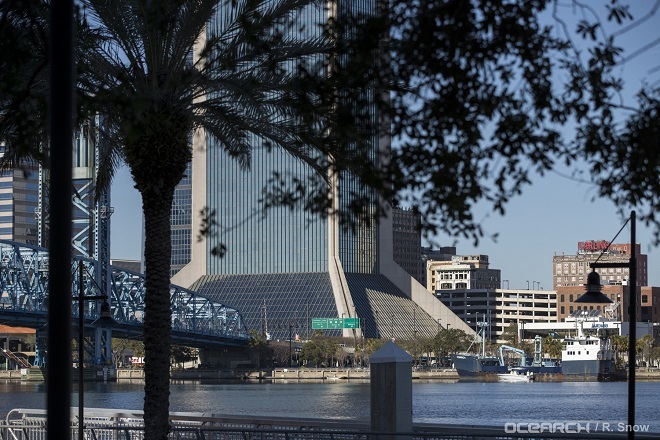 River Life is a recurring feature in The Florida Times-Union. 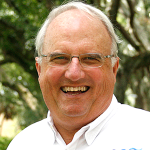 E-mail Dr. White, Executive Director of the Jacksonville University Marine Science Research Institute, with questions about local waterways at qwhite@ju.edu.